I have been wanting to write about rhubarb for weeks now and have grown impatient. The five plants from Pennard Plants that I put in last year (three Hawkes Champagne and two Victoria) are looking promising but not yet ready to harvest. 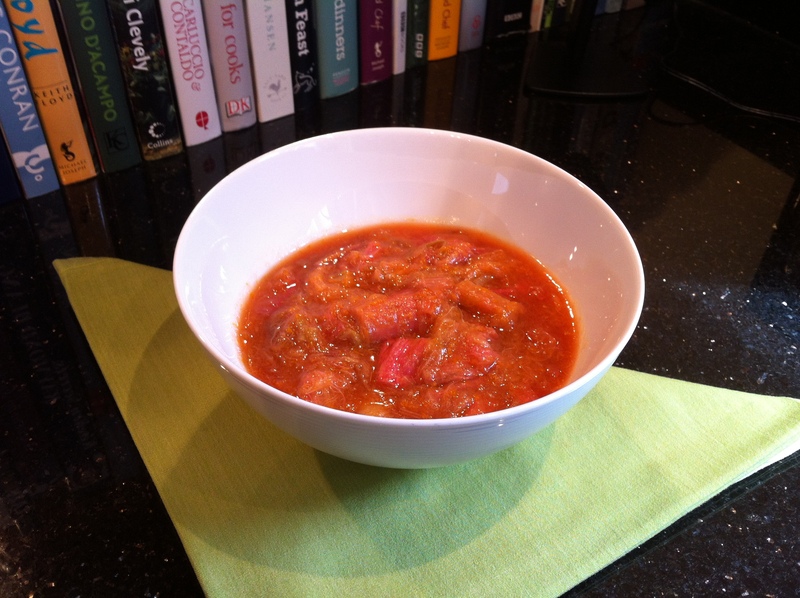 So I have to confess the rhubarb for this recipe was a gift from eminent plot holder and committee member Steve Pearham. At least I’ll be well practicised by the time my own crop becomes available. 50gm Sugar – I used brown but white caster would probably give a more sophisticated and ‘pinker’ result. 15ml Grand Marnier – This is of course optional (and perhaps not recommended if you want to eat it for breakfast) but really adds a lovely note if you have some knocking around. 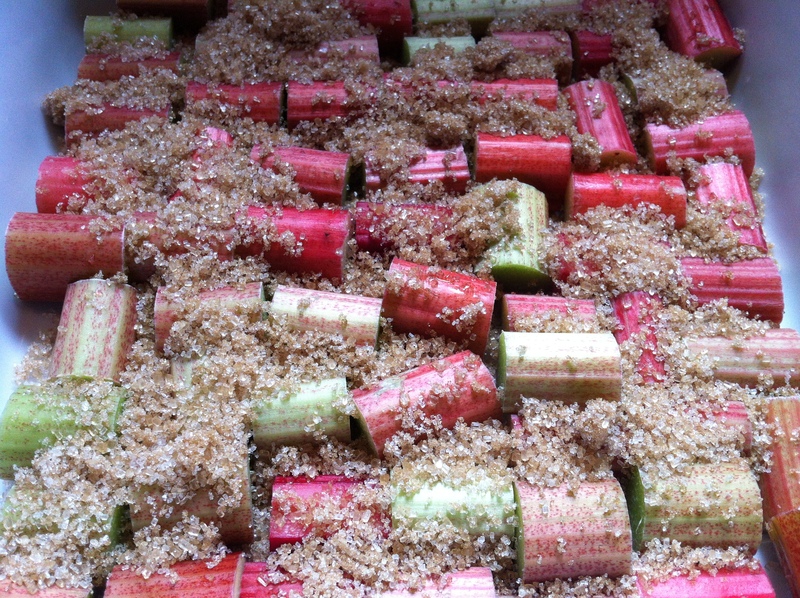 Cut the rhubarb into 2cm pieces. They should be 1cm thick so cut the stalks in half lengthways if necessary. Put them in a single layer in a baking dish. Scatter with the sugar and water. Bake in the oven at 190 degrees Celsius for 25 minutes. Cool slightly stir in orange zest and Grand Marnier. Stir gently. This recipe makes approximately 300 gms of compote. Delicious with anything creamy; custard, yoghurt, ice cream etc. Or it would be lovely on top of a Pavlova. Let me know in the comments if you decide to try this or if you have a favourite rhubarb recipe.